If American senior citizens are secure, it increases overall community resiliency, which in turn fortifies domestic capacity during a large-scale or national crisis. In other words, national resiliency is in part based on community strength through senior American security. America’s communities cannot be truly resilient without seniors being sure in terms of access to critical resources including water, food, shelter, medical care and cash. Indeed, it may take a concerted effort, if not a disruptive vision, of a modern day Alexander to work through a community’s Gordian Knot to fortify plans for senior American security. 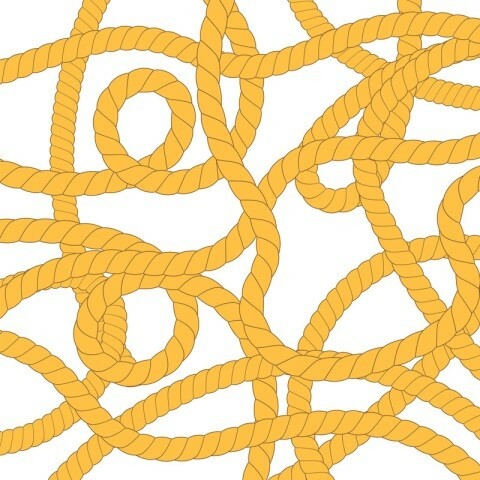 In this context, the Gordian knot is a metaphor for complex challenges, cross-pressures and barriers to senior American security. One thread of this knot is represented by Social Security benefit payments. While some discuss the projected insolvency of the Social Security Trust Fund, policymakers must consider how to prioritize Social Security benefit payments in a large-scale crisis to ensure personal cash flow and the well-being of seniors. Americans have witnessed how a large-scale natural disasters, with or without warning, can take lives or devastate critical infrastructure and services on which we depend on to protect or support life, maintain financial viability and supply fuel. We have seen how compounded crises, one large-scale crisis after another, can test the best logistics and capacity of emergency response. Consider how the consequences of an interruption in Social Security benefit payments to America’s domestic security could be catastrophic. According to the Social Security Administration (SSA), nearly nine of ten seniors who are aged 65 years and older receive Social Security benefits. Furthermore, 39 percent of workers report they and/or their spouse have no personal savings set aside for retirement. Therefore, one can readily grasp how any breakdown in timely receipt of these funds by seniors who live from one Social Security check to the next—whether by a check in the mail, electronic direct deposit or the Direct Express debit card—could quickly compromise one’s personal financial security. Social Security payment options are listed in a 2017 press release by the SSA. Even seniors with substantial wealth and assets during a crisis may not be protected when infrastructure is devastated. Whether by natural disaster, cyber-attack or terrorism, destruction of systems or disruption of services can quickly erode or destabilize one’s well-being through delayed access to funds for essential resources. Of course, disruption of internet access, mobile communication services and transportation systems can further challenge the quality of daily life until communities have been restored. The destruction caused by 2017 Atlantic hurricanes, across coastal states and the islands, followed by the California wildfires, is a frightful and costly reminder of how community-level preplanning for senior security is critical. These powerful storms threatened the safety of many and did not discriminate between the young and the old or between the strong and the weak. Ultimately, leadership, pre-planning and public-private collaboration for response, recovery and rebuilding are important to community strength through senior American security for national resiliency. There must be a community-up approach to local resiliency, leveraging technology and logistics to rebuild or restore critical infrastructure and services. Sole reliance on a federal program and resources will not work as the state and community partners must be ready to receive the support. At the government level, the onus is on leaders to take charge to avoid vulnerabilities in senior American security through comprehensive planning and budgeting. This ensures continued Social Security benefit payments and a city’s emergency reserves. Plus, community leaders can adopt proven policies in their own response and recovery plans — such as those outlined in the National Blueprint for Secure Communities: Based on lessons learned from Hurricane Katrina and Rita’s sidestepping of Galveston, business leaders Kempner and Sjostrom recommended preplanning for business recovery to minimize financial and emotional strain. Specific elements of their model include a 90-day emergency fund, city-based lending pool and returning business tax incentives. Plus, the late Galveston Mayor Thomas set a precedent for allowing residents to evacuate with their pets. Following the historic University of Texas Medical Branch patient evacuation, local leaders recommended a personal medical record accompany each evacuee. Moreover, the onus will be on future generations to be willing to understand how important it is to uphold senior security for the whole of America — knowing that resilient communities depend on, respect and care for the future of both the youthful and senior populations. Author: Rosalie J. Wyatt, Ph.D., MBA is president of Wyatt CGI, Inc., providing clients with solution-based stakeholder engagement services for business development and advocacy. Dr. Wyatt is the National Director of the ReadyCommunities Partnership and an officer of the Bayat Foundation. She received her Ph.D. in public policy relative to cross-sector collaboration for strategic port community resiliency in the first 72 hours. Dr. Wyatt is based in the U.S. capital region and can be reached at [email protected].